Jay Andrus is a licensed REALTOR® and owner of 208 Houses, located in Meridian, Idaho in the heart of the beautiful Treasure Valley. Licensed in July of 2006, Jay has been helping first time home buyers and seasoned homeowners buy and sell their homes and takes pride in making sure their real estate needs are met. Jay specializes in residential real estate acting either a Buyer's Agent or a Listing Agent. He is also experienced with e-PRO®, short sales, and new construction. Since Jay’s father was in the United States Air Force (USAF), Jay is extremely familiar with the challenges of relocation. 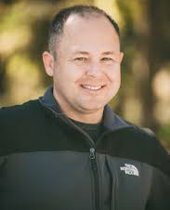 Born in Lake Charles, Louisiana, Jay has lived in Louisiana, California, New Mexico, Texas, North Carolina, and England before finally settling down in Idaho in 1999. After graduating from Meridian High School in 2000, Jay enlisted in the Idaho Air National Guard (IDANG) as a Munitions Troop and also augmented for Security Forces. Jay went on to graduate from Boise State University with two Bachelors of Business Administration (B.B.A) Degrees; one in General Business and the second in Human Resource Management. He also graduated with an Associates of Applied Science (A.A.S.) Degree in Munitions Technology from the Community College of the Air Force (CCAF). Currently, Jay lives with his wonderful wife Courtney and four children: Rylan, Rheanna, Keegan, and Ryker. Jay enjoys spending time with his children and extended family; riding motorcycles, snowboarding, watching movies, barbeques, and outdoor activities such as camping, hunting, and fishing are just a few of their favorites. "Jay was great. My house listed on a Saturday and two weeks later I was signing the papers selling my house! Jay was always available to answer any questions or concerns I brought to him. He will be my guy when I purchase my next home." 02/11/2016 - Jrhardy1 Sold a Single Family home in 2016 for approximately $125K in Caldwell, ID. "Knowledgeable and trustworthy. Worked extensively to get my older house sold, great techniques to make it all work out. Kept the faith even when I was about to give up.... then boom, it sold." 09/24/2015 - David Shaw Sold a Single Family home in 2015 in Southeast Boise, Boise, ID. "I worked with Jay for over 8 months before finding my home. It was an arduous process, but Jay helped me stay positive and kept my eye on the goal. Because my budget was so small, we looked at many different types of houses. I really appreciated Jay's honesty. We walked into one home, and before I could even express and concern Jay immediately said "Yeah, you're not buying this one..." As a first time home buyer, I really appreciated his forthrightness. More important than all of the above, I've been in my new home for a few months now and couldn't imagine living anywhere else!!" 06/16/2015 - Hollierobinson42 Bought a Townhouse home in 2015 in Nampa, ID. "Jay was really easy to work with; he made the experience not too stressful. He was a big help with all the contacts to fix up the house. We highly recommend him as a realtor...actually we have recommended him to a few of his clienteles." 04/21/2015 - Trolln_l Sold a Single Family home in 2015 in Meridian, ID.